Police arrest 3 for kidnapping and killing Dangote's employee after collecting N5.6m. The IGP Intelligence Response Team (IRT) recorded another breakthrough with the arrest of three of the kidnappers that murdered one and kidnapped 5 expatriate members of staff of Dangote group. The IRT, armed with credible intelligence, between November 27, 2016 and December 3, 2016 arrested three of the kidnappers: Abubakar Gide 24, Abdullahi Salihu 22, and Babuga Adamu 25 in Ijebu Igbo - Ogun state, Epe Forest - Lagos State and Ajase Ipo Forest - kwara state respectively. 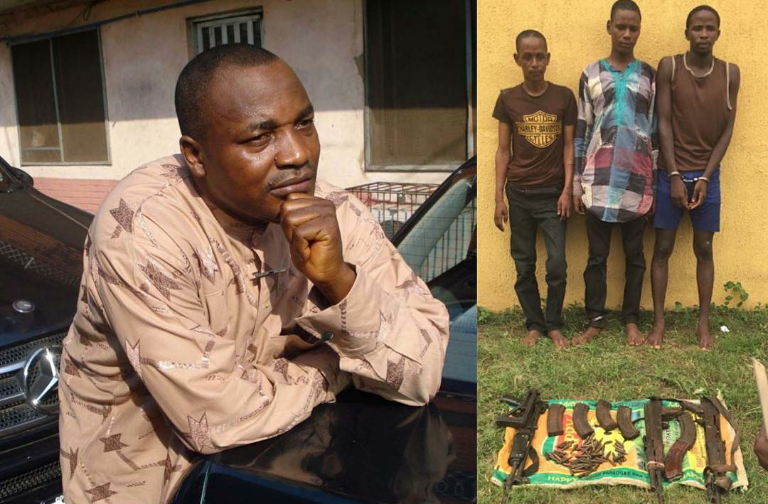 The suspects confessed to kidnapping and releasing all five initial victims after receiving N5.6m ransom. They also confessed to kidnapping and murdering the ransom transporter, Istifanus Gurama, also of Dangote group. Gurama was believed to have been kidnapped three weeks ago but news of his murder got to his family members (yesterday) Monday. Sources close to him told Punchng that as a senior strategist, Gurama, was in charge of negotiations and handing ransom payment to kidnappers whenever any of the expatriates in Dangote Industries was kidnapped. The day Gurama was allegedly kidnapped, he was said to have gone, as usual, to negotiate and pay ransom money for the release of one of the expatriates. However, on getting there, the kidnappers reportedly said he was the one they were after and he was subsequently detained. The suspects have since led the police to their hideout in Ijebu Igbo, Ogun Forest where the following arms and ammunition they used in the operation were recovered: 3 AK47 rifles, 6 AK47 magazines and 160 rounds of ammunition. The suspects further led IRT operatives to Apoje River where the body of Gurama was recovered. Efforts are in progress to arrest other gang members who are currently at large in other states.